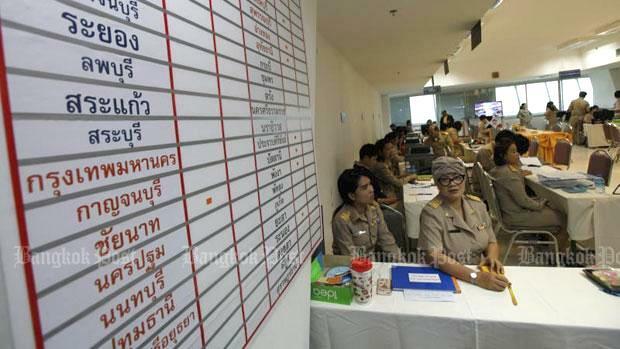 The Asian Network for Free Elections (Anfrel), the European Union (EU), and the United Kingdom have urged the Election Commission (EC) to clarify poll irregularities while the US embassy in Thailand said it is looking forward to the EC’s announcement of poll results. Anfrel said on Tuesday (Mar 26) in an interim report that the election marks a return to democracy in the wake of five years of military rule, but the process has been fraught with problems, which has cast a shadow on its “perceived integrity”. The monitoring group listed among its concerns “the overly restrictive regulations regarding the validity of the ballot marks”, which led to at least 1.8 million invalid ballots. Besides alleging that the tabulation and calculation of ballots were “deeply flawed”. Anfrel said it took note of a campaign environment that favoured “the incumbent military junta” and “the candidates that it supports”. It added that the regime has done such a disservice to the media, civil society, and voters that they “minimise or ultimately self-censor criticism against the military junta”. The agency called on the EC to clarify. “The lack of transparency and cooperation between the ECT [EC] and other electoral stakeholders severely limited the outflow of information, thereby fuelling further distrust in the process and the institution itself,” the report said. The EU also released a statement. Maja Kocijancic, the spokesperson for EU Foreign Affairs and Security Policy, urged that any irregularities be clarified. Mark Field, the UK’s Minister of State for Asia and the Pacific, said it was “encouraging to see so many Thai citizens seeking to have a say in their country’s future”. “It is important that any reported irregularities are investigated swiftly, fairly and transparently, to ensure credibility,” he added. The approach to the election was to much restricted, manipulated , controlled, over regulated  by the Junta. International observers report that and much more about during voting. Pity. A wrong start to restore thai democracy. I write 'thai democracy', because I respect the thai different thinking about democracy comparing with democracy in many other countries.